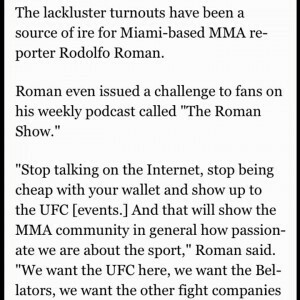 The host of The Roman Show, Rodolfo Roman was featured in an article on the Orlando Sentinel showcasing the UFC on Fox event scheduled for April 19. 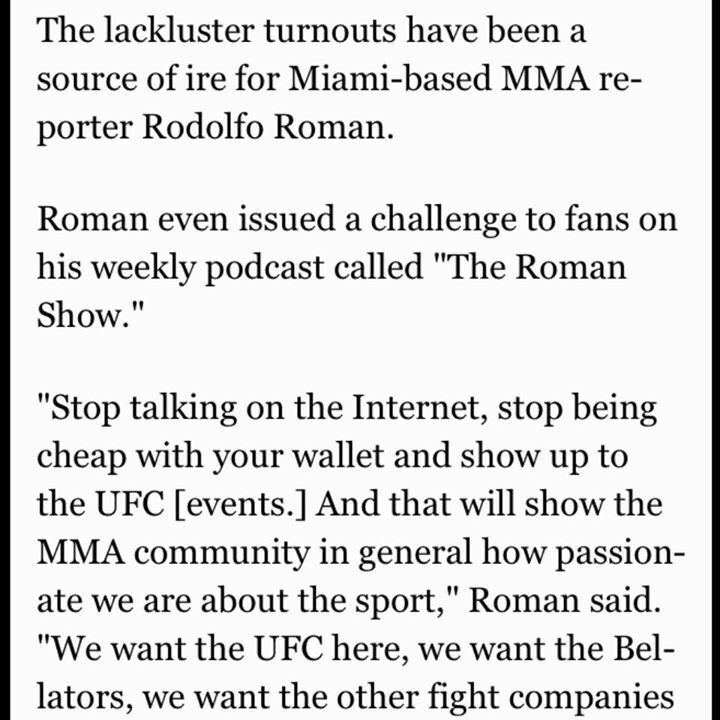 In a past show, Roman issued a challenge to all of mixed martial arts fans in Florida to “show up” to the event in Orlando. The UFC returns to the sunshine state since its last return back in 2012, when it visited Sunrise, Fl. Roman addressed his listners to attend the show back in January. You can hear it here.